This novel had a lot to live up to as the prequel for a classic, literary great such as Bram Stoker's Dracula. And, I will admit that I had preconceived notions of what I expected the story to be and had set my standards very high with regard to how I thought it should/would compare to the original. After reading the first couple of chapters, I wasn't sure it was going to stand up to my intense scrutiny and remain upon the pedestal on which I had already placed it, based solely on the merits of its predecessor. It wasn't written in the olde-worlde style of locution I had become accustomed to in Dracula, but rather in a more modern form of prose. And, for that reason alone, I wasn't feeling the same the same kind of antiquated aura which gave Dracula its distinctly-haunting atmosphere. It was at this point that, with a big sigh and a heavy heart, I closed my Kindle. I spent quite a few moments brooding and silently bemoaning the fact that this was not another Dracula, after all. Then, the realization hit me like a bolt of lightening: Dracul wasn't necessarily intended to be about Dracula, per se, but about his ORIGINS and how he was revealed to, and gained infamy in, the mortal world. It was supposed to be about the people who discovered his existence and how their lives were shaped and affected by that knowledge and their subsequent contact with an evil entity who proved to be the most wicked, cunning and nefarious of puppeteers. It was meant to be about the unjust travesties that befell those unsuspecting, innocent hearts who were lured and lulled by his silent siren's song, their bodies weakened, their wills bent and broken and their minds mesmerized into complacency to more easily facilitate the carrying out his diabolical demands. I had begun reading this novel with a skewed perception and completely inaccurate view of the story portrayed within its pages. Banishing my decidedly-biased expectations and putting aside my own convoluted and egregiously-lofty notions, I picked up my Kindle and, with an open mind and renewed hope, began to read. I freely and fully allowed the story come out of the shadows of its foregoer, stand proudly in its own halo of illumination and incandescently be what it was meant to be. And, that is when IT happened! I became totally and irrevocably immersed in the deliciously-dark, sinister and haunting otherworldly feel of the story. Once again, my undivided attention was captured, and I was transported back in time to become an almost-tangible bystander to the events unfolding. I became increasingly invested in the characters, their seemingly-doomed plight and their wellspring of emotions. Their affable natures, abiding strength of spirit, compassion for each other and unconditional bonds of friendship warmed my heart. I admired their persistent courage in the face of evil incarnate, and their driving sense of urgency became my own. Their palpable fear and abject despair swirled around me, a murky and writhing specter, that forced its way past the lump of terror in my throat and poured its icy, malicious cocktail of fright and horror into me, chilling the very blood in my veins. I willingly and eagerly shared their ghastly and harrowing ride into the blackest and most malevolent depths of undead depravity. And, the further we descended into this macabre madness, the more my nostrils filled with the unpleasantly-pungent, cloying, earthy scent of death and decay, and the heavier a prevailing sense of impending doom sat like a boulder upon my chest. And, for surviving the duration of this helter-skelter journey with these beloved characters who had, by now, come to feel as if they were indeed my friends, I was rewarded with a classic case of "the creeps", that only the telling of a true tale of horror can bestow, complete with a rapidly pounding heart and a hoard of verminous goosebumps crawling like the tiny feet of scurrilous insects across the surface of my skin. I went into reading this book with the anticipation of discovering the next great classic hidden within its pages of twisted and dark, Gothic suspense and, most-satisfactorily, that is EXACTLY what I found! I don't see how this story could have possibly been told any better. 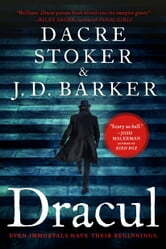 BTW: Bram Stoker claimed that the events recounted in Dracul were rooted in absolute truth. 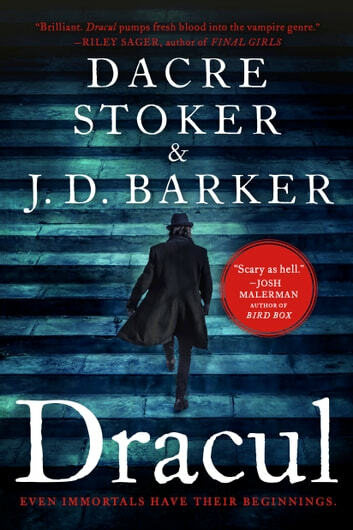 So, believe what you will... #Dracul #NetGalley *I received a complimentary ARC of this book from NetGalley & PENGUIN GROUP Putnam in order to read and provide a voluntary, unbiased and honest review, should I choose to do so. This story is told from the Bram Stokes prospective. Sick as a child with Nanna Ellen caring for him. Dreams that he had that were maybe caused by a fever. Bram, His siater, Matilda and brother Thornley all remember her differently. Does she get younger every year or older at times? Is this their imagination? Then one night she leaves with the bed of dirt that was under her regular bed. Before she left, Bram and Matilda had seen her do some very strange things. Once they are adults, they see her in many different places, but she is never there when they reach the place she was. Many characters appear, many situations. What is the truth and will anyone find out? Great story that is well written. If you like vampires, you will love those a story from a point of view not often used. I received this book from Net Galley for an honest review and no compensation otherwise.